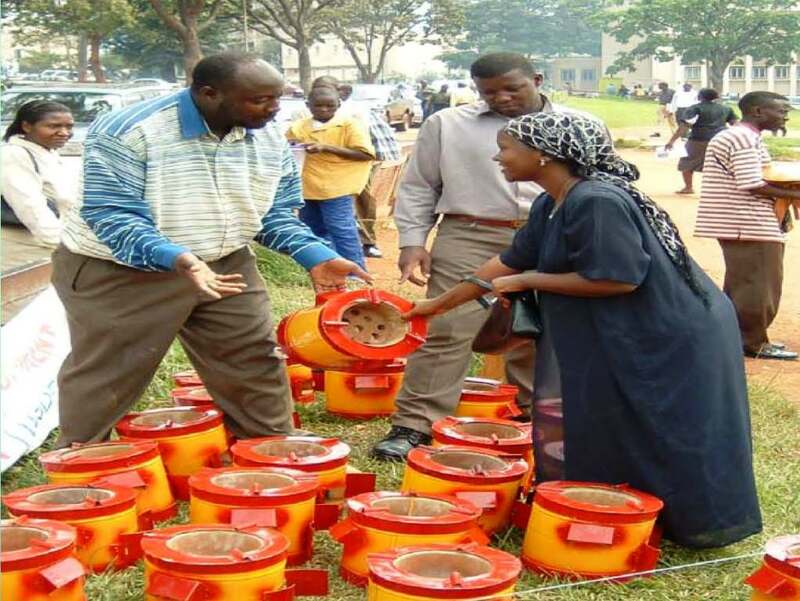 The manufacturers of the locally made energy-efficient cooking stoves, Ugastove, have told an international environmental conference in Copenhagen, Denmark, that an increasing number of Ugandans are buying their product out of a conscious decision to cut air pollution and save forests. Charcoal stoves, locally known as ‘sigiri’, are used by about 80 percent of households and businesses in Uganda. David Mukisa, project director for Ugastove, said his stoves are more efficient, cutting emissions of the greenhouse gas carbon dioxide by 30 percent. He explained that the stoves improve air quality inside homes and, by being more efficient, cut the strain on Ugandan forests which is considered critical to stabilizing Africa's already arid climate. Mukisa said that in the past 50 years Uganda has lost half its forests to deforestation, much due to charcoal production. Charcoal, made from ten times its weight in wood, comes from chopping down forests which are not subsequently replanted. In addition, the kilns used to produce charcoal release large quantities of methane, a greenhouse gas about 20 times more potent than carbon dioxide. Ugastove opened its factory in 2005 and now employs more than 50 people. The company's target is to sell 30,000 stoves annually over seven years from 2007, which would cut carbon dioxide emissions by around 74,000 tonnes per year.